MEXICO. Ciudad Juarez. December 15, 2009. An addict homeless seated in an abandoned house named “la Maldita”. According to experts: 200 000 people are addicted to heroin in Ciudad Juarez. The number of Mexicans addicted to illegal drugs has increased by 50% between 2002 and 2008. CUBA. La Havana. January 5, 2008. Downtown Havana. Government store. CUBA. La Havana. January 6, 2008. Downtown Havana. Rationing store. SYRIA. Aleppo. february 12, 2013. Qadi Ashar (Old City). Dar Al Ajaza old people’s home became a shelter for mental patient abandoned when the battle of Aleppo started seven months ago. Nel 1998, sebbene nulla lasciasse pensare che si sarebbe trasformato in un giornalista, Sessini arriva a Parigi. L’agenzia fotografica Gamma gli offre l’opportunità di coprire il conflitto in corso in Kosovo. Da allora Sessini ha coperto la maggior parte degli eventi di attualità a livello internaizonale: Palestina, Iraq (dal 2003 al 2008), La caduta di Aristide ad Haiti (2004), la conquista di Mogadiscio da parte delle milizie islamiche e la guerra in Libano (2006). Il lavoro di Sessini viene immediatamente risoncosciuto a livello internazionale. Viene pubblicato da giornali e riviste prestigiosi, tra cui Newsweek, Stern, Paris-Match così come Le Monde e The Wall Street Journal. Le sue fotografie sono state oggetto anche di mostre personali al Visa Photo Festival di Perpignan, ai Rencontres d’Arles, alla Bibliothèque nationale François-Mitterrand, e anche al Ministero della cultura francese. Nel 2008, Jerome Sessini inizia il progetto messicano: “So far from God, too close from the US”, un tuffo nella guerra tra i cartelli della droga in Messico. 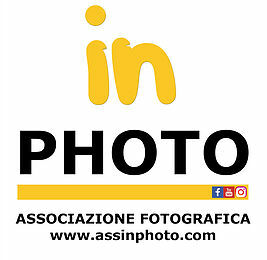 Il progetto, tutt’ora in corso, gli vale per due volte il F-Award e un Getty Grant. Da questo confronto diretto con la violenza. Sessini ha riconosciuto uno stato delle cose che costiutuisce il cuore del suo lavoro, “Le persone comuni sono sempre perdenti, siano esse in Iraq, Messico o Francia”.Evolvendosi in un equilibrio precario tra realismo cinico e un’agitazione diretta, Sessini è molto attento alla “correttezza” deil suo lavoro fotografico. Rifiuta l’idealismo e la spiritualità, che non tengono in considerazione alcune parti della realtà. Jérôme Sessini builds a passion for photography, discovering documentary photography through books shown by a friend,a photographer. He initiates his own practice, shooting people, landscapes and daily lives of those around his native Eastern France (with Diane Arbus, Lee Friedlander, Mark Cohen, in mind). In 1998, although nothing predicted he would turn to journalism, Sessini arrives in Paris. Gamma photo agency gives him the opportunity to coverthe ongoing conflict in Kosovo. Sessini has since then covered most of the international current events: Palestine, Iraq (from 2003 to 2008) , Aristide’s fall in Haiti (2004), the conquest of Mogadishu by the Islamic militias and the war in Lebanon (2006). Sessini’s work is immediately internationally acknowledged. It is published by prestigious newspapers and magazines among which, Newsweek, Stern, Paris-Match as well as Le Monde and the Wall Street Journal. His photography also leads to single exhibitions at the Visa Photo Festival in Perpignan, at the Rencontres d’Arles, the Bibliothèque nationale François-Mitterrand, as well as with the French Ministry of Culture. In 2008, Jerome Sessini starts the Mexican project: « So far from God, too close from the US”, a dive into the drug cartels’ war in Mexico. This yet ongoing project has already been awarded twice with the F-Award and a Getty Grant. From this direct confrontation with violence, Sessini has recognized a state of things which is at the heart of his work, “Ordinary fellows arealways those losing, either it being in Iraq, Mexico or France”. Evolving within an uncertain balance of cynical realism and straight upset, Sessini is very careful with the “rightness” of his photographic work. He rejects idealism and other worldliness, which do not take in account some pieces of reality.